A new survey shows that physicians, particularly those in primary care, are continuing to adopt electronic health record systems at a rapid pace. In fact, almost 80 percent of office-based physicians reported using some form of an electronic health record (EHR) in 2013, according to the study performed by the Centers for Disease Control and Prevention's National Center for Health Statistics and released this week in Health Affairs(content.healthaffairs.org). Forty-eight percent of all physicians said their EHR systems could perform a series of "basic" EHR functions, such as recording medication and allergy lists, saving clinical notes, prescribing medication electronically, or viewing lab and imaging reports. That was double the adoption rate in 2009 and up 22 percent from 2012. 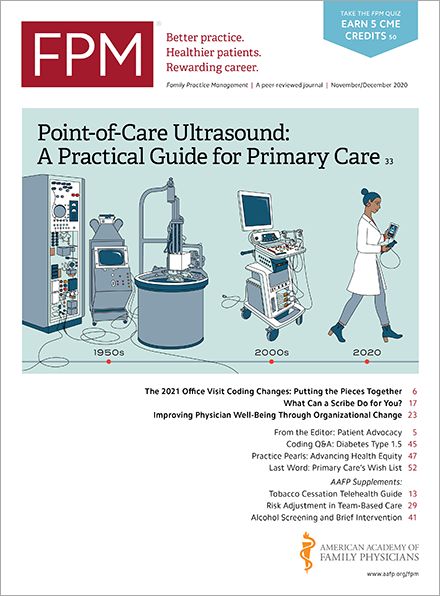 Primary care physicians' rate of adoption was highest with 53 percent saying they had a basic system, compared with 43 percent of physicians in other specialties. But the survey also found that relatively few physicians are using or are capable of using their EHR systems to exchange patient care information with their fellow physicians, hospitals, or health systems, or even the patients themselves. Only 39 percent of office-based physicians said they had performed health information exchange with other providers or hospitals last year. Providers in larger practices or those owned by a hospital or academic medical center were far more likely to exchange information than small and solo practices. Patient engagement with the EHR was also lagging as only 41 percent of physicians said they had the ability to let patients view, download, or transmit their health information online. Of those, about half said they actually used it. And while close to half of all physicians said they could exchange secure messages with patients through their EHR, two-thirds said they didn't in 2013. Those results will continue to create concerns ahead of the deadline for complying with Stage 2 Meaningful Use requirements, which particularly stress interconnectivity and patient outreach. A separate study that focused on EHR adoption and use by hospitals(content.healthaffairs.org) found that almost 60 percent of hospitals had adopted at least a basic EHR, but less than 6 percent were considered ready for Stage 2 Meaningful Use. For information on how your practice can meet Stage 2 Meaningful Use requirements, see "Making Sense of Meaningful Use Stage 2: Second Wave or Tsunami?" in the January/February 2014 issue of FPM.